Small pets may tire more easily on walks, and if you’re traveling a long distance you’ll want some way to keep your tiny pup safe by your side. Pet crates or small kennels can be rather bulky and near impossible to haul around during certain activities. Soft cloth slings and pet backpacks are the perfect solution for keeping your hands free, while keeping your small dog safe and secure on the go! Suited for toy to small-sized breeds, dog slings and backpacks hold your dog close to your body and allow you to freely move about. Typically supportive for dogs that weigh up to 15-2o lbs, they work similar to infant carriers and give you the same freedoms. These pet carriers work well for small dogs that either can’t or don’t want to walk on their own for lengthy distances. 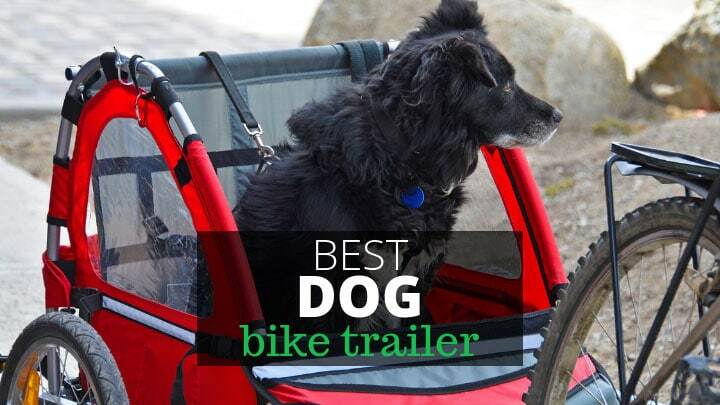 They’re also well-suited for biking, hiking, and nature walks, especially if you don’t have a dog stroller. 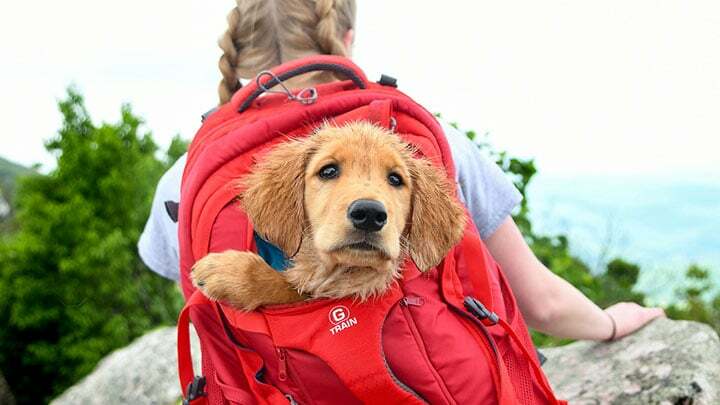 The purpose of using a small dog backpack and a dog sling is very much the same – to secure your pet close to your body while walking, hiking, biking, or any other physical activity. The most obvious difference between the two will be the way your pet is held in them. 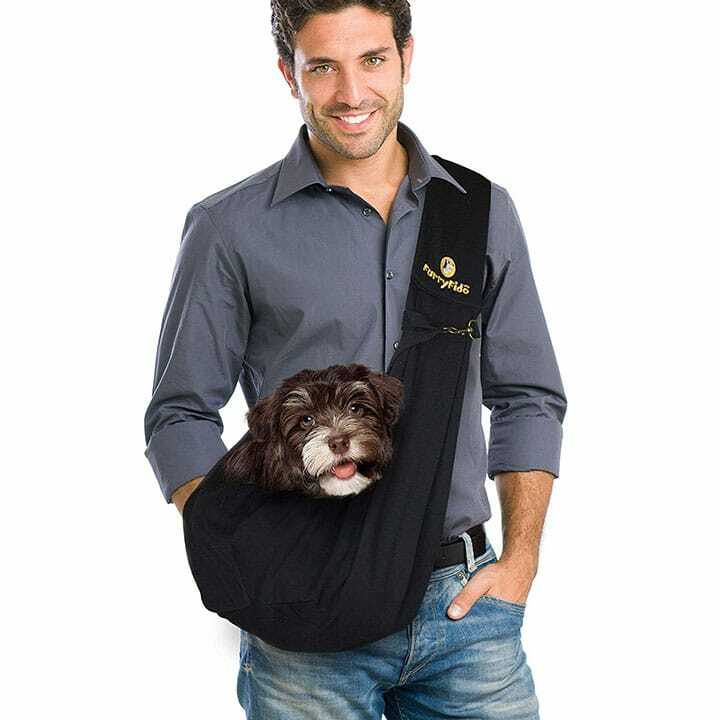 With slings, your pet is contained in a cloth sling that wraps around your body from shoulder to the opposite hip. 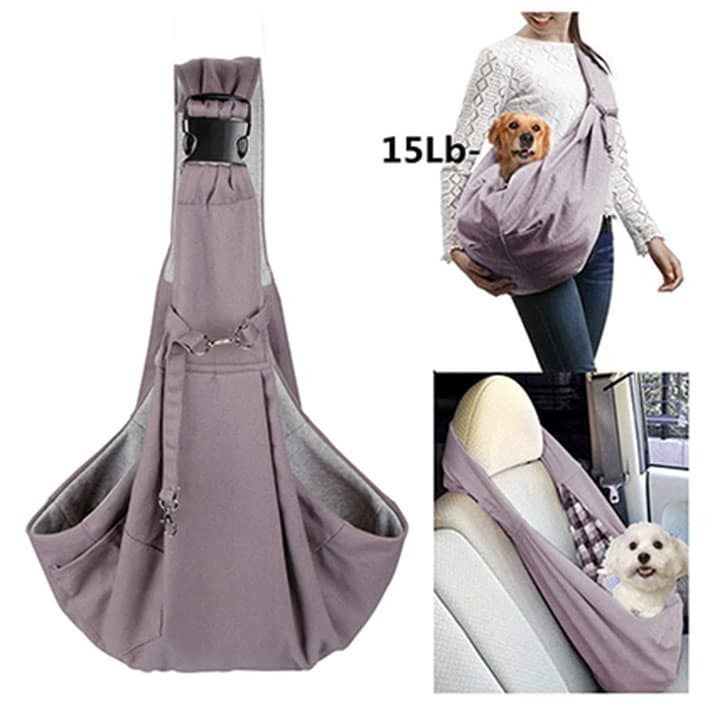 Dog carrier backpacks, on the other hand, will have straps that fit your pup either to your chest or back, with your dog sitting upright with their legs through holes. In choosing the best option for your pet, you’ll want to consider how comfortable they’ll be in the positions allowed by each option. 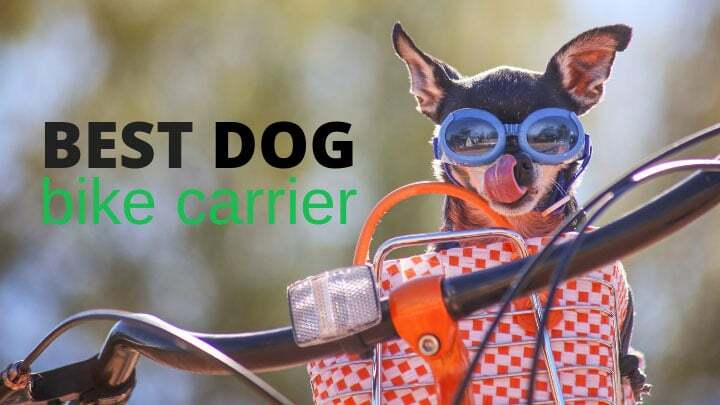 A dog sling will come in handy when you need your hands free, but aren’t doing high intensity physical activity, like riding a bike, or jogging for example. They’re perfect for keeping your small pup from wriggling free, while allowing you plenty of movement. They also work great for small dogs that experience separation anxiety, as they’re able to go where you go. Proper size. 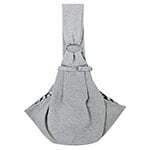 The height or depth of the dog sling should fit your small pup comfortably and come up to about their shoulders. They should be able to comfortably sink into the sling and see out without risk of falling out. Pet slings should feature interior hooks or clasps that can attach to your dog’s collar. This will prevent them from rolling or jumping out on your walks together. One of the slings on our list is no longer available, so for the time being our “top 10” has turned into a “top 9”. After you’ve narrowed down a few of the slings you like from the table above you can use the quick reviews below to help you choose the perfect sling for you and your dog. 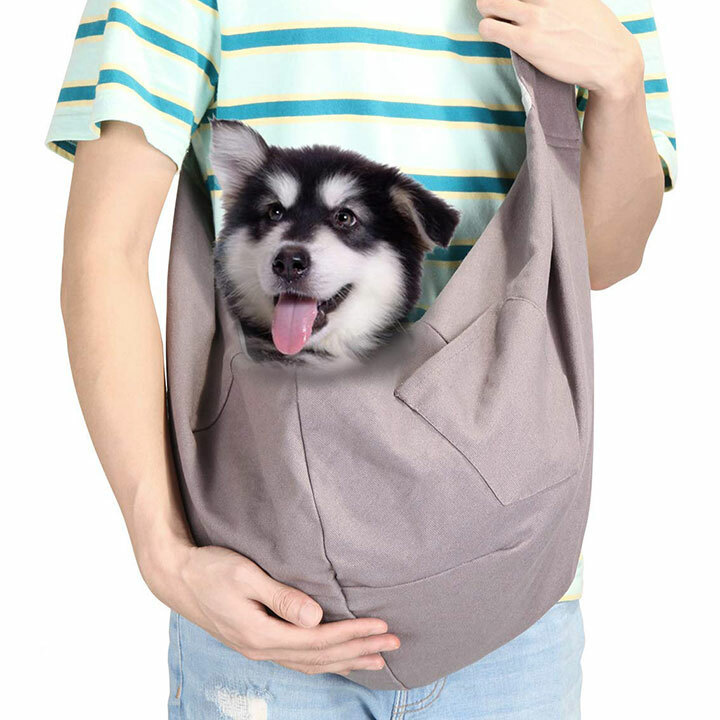 The i’Pet® Hands-free Reversible Small Dog Sling Carrier is made from machine washable cotton and polyester fabric. The reversible, hands-free carrying style crosses your body from shoulder to hip to keep your pet secure, yet comfortable during activities. The Alfie Pet by Petoga Couture is a grey and denim colored sling that features an adjustable shoulder strap and a safety collar hook for added protection. 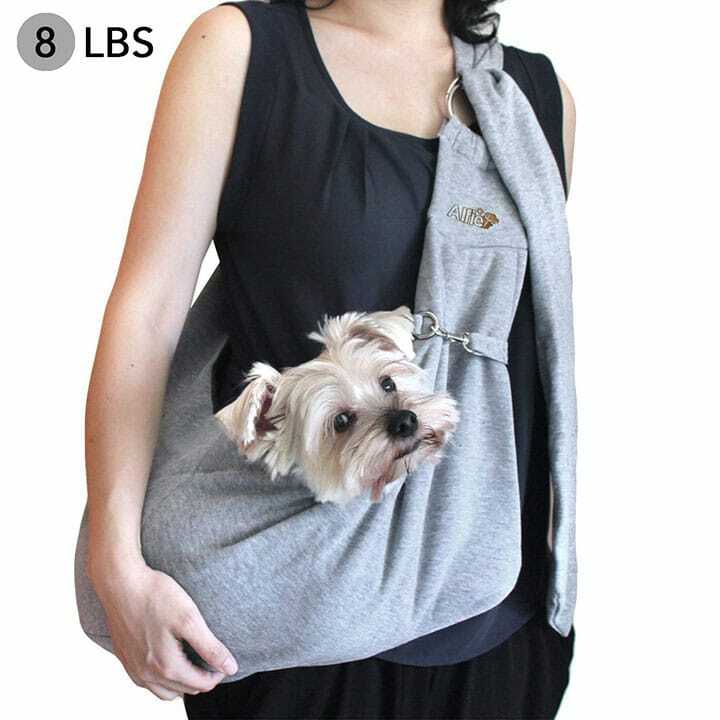 Measuring 9” in depth and able to hold pets up to 12 lbs., it’s another great small-pet sling option for keeping your hands free. This adjustable jersey FurryFido Pet Sling supports the weight of dogs up to 13 lbs. 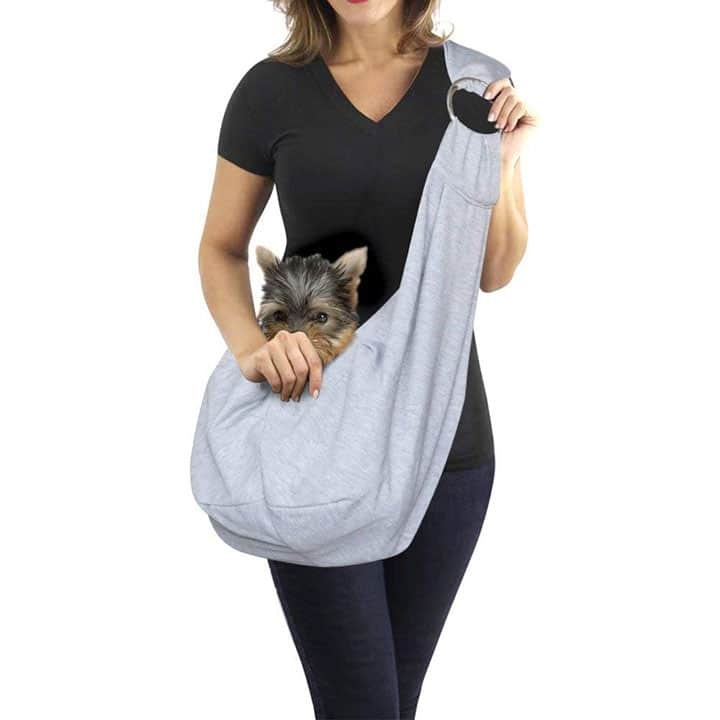 The comfy, machine washable fabric and adjustable straps make this a comfortable sling for you and your small pup! It comes with a safety belt with two latches for extra security. The spacious Inviktus Oxford Cloth Pet Sling comes in three different sizes and fits dogs up to 13 lbs., letting you choose a custom length for your pup. The durable, washable oxford cloth and nylon fabrics are breathable and comfortable. The unique design keeps your dog secure while letting them stick their head out and watch the world pass by. This soft cotton HITOP Dog Pet Sling Carrier Bag is suitable for supporting small dogs that weigh up to 12 lbs. The reversible fabric is machine washable and feels comfortable against your dog’s delicate fur. A safety hook attaches to your dog’s collar from the interior lining, keeping them stable in the sling as you go adventure about together. 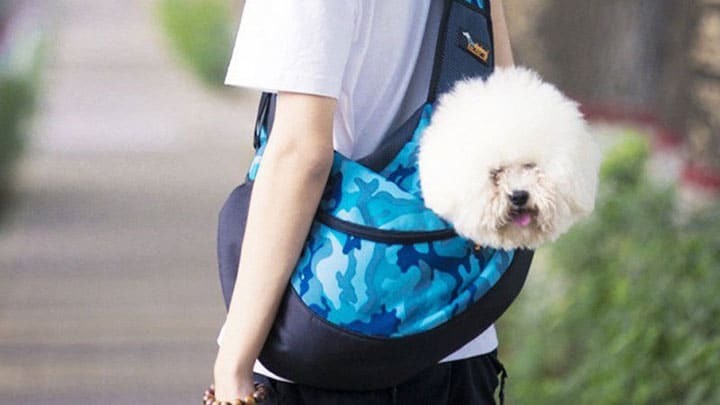 The breathable SIAYI Traveling Puppy Purse is made from durable, yet breathable canvas and felt that was made without harmful dyes. 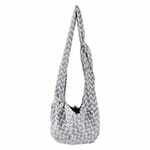 The adjustable shoulder strap lets you be comfortable as you tote your small 3-8 lb. pup along. 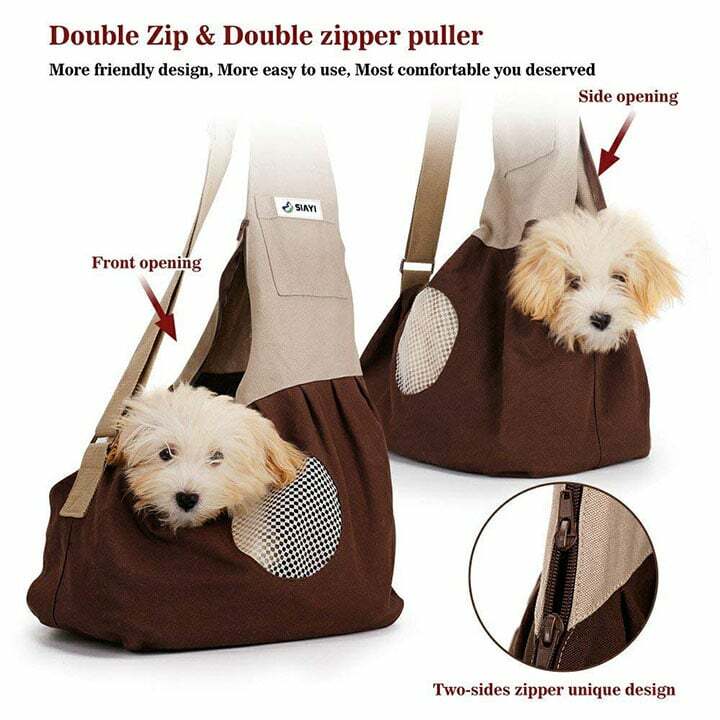 Two zippers on either side and a peep hole allow your pet to have total visibility and get in and out of the sling easily. 6.6 lbs. 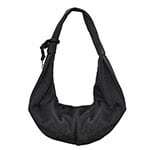 The soft cotton fabric sling sits over your shoulder while your pet sits comfortably on your hip. Taking little space when folded up, it’s a great option for keeping your small dog close while traveling. 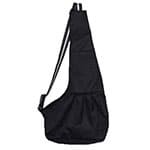 OWNPETS Small Dog Sling is available in two different sizes for 6.6 lb. and 11 lb. dogs. The built-in collar hook keeps them close and prevents your dog from jumping out. 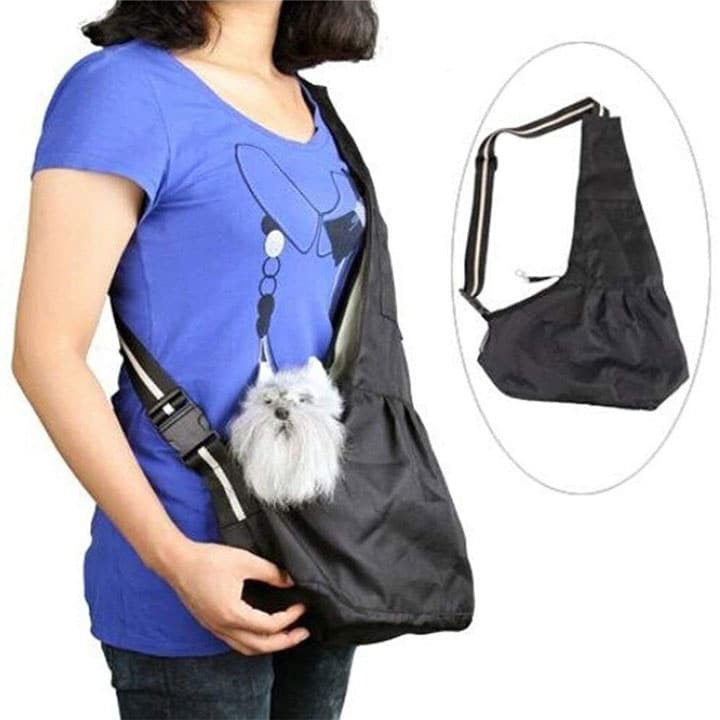 The hands-free sling design lets you take your small pet wherever you like. Soft cotton material will let your dog relax while you do the walking for them.